“This FREE event is Arizona’s largest gathering of Peace, Justice, and Environmental groups. There will be live music, tables, food, entertainment, and children’s activities.”Note the new location- Armory Park downtown, 221 S. 6th Avenue, south of Broadway Blvd. 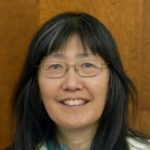 Learn more about the Community Projects and Vote Felicia Chew at http://www.chewfortucson.wordpress.com! 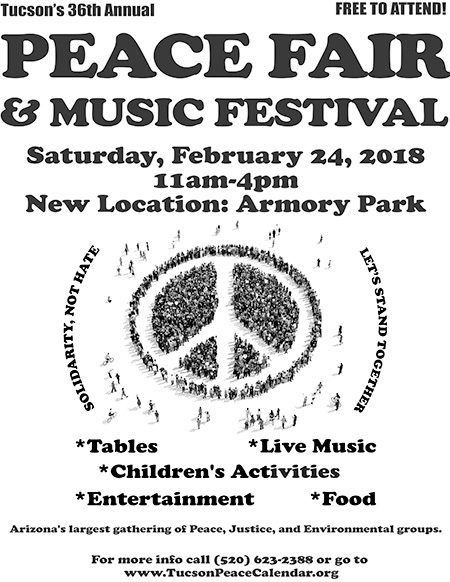 Lots of like-minded peaceniks at this festival today at Armory Park, with CD 3 Congressman Raul Grijalva, Kelly Fryer (for Governor), Betty Villegas (LD 3 Senate), reps for Steve Farley (for Governor) and Mary Matiella (for CD 2 House). Listened to Raging Grannies at high noon sing “Killing Us Softly with his Tweets” (about DT), and Health Care for All, etc. The usual booths for peace, the environment, even Unscrewed Theater was there in the brisk, Spring weather. Give peace a chance. Raffle was indoors Armory Park Senior Center, along w/ community soapbox talks, every 15 minutes.